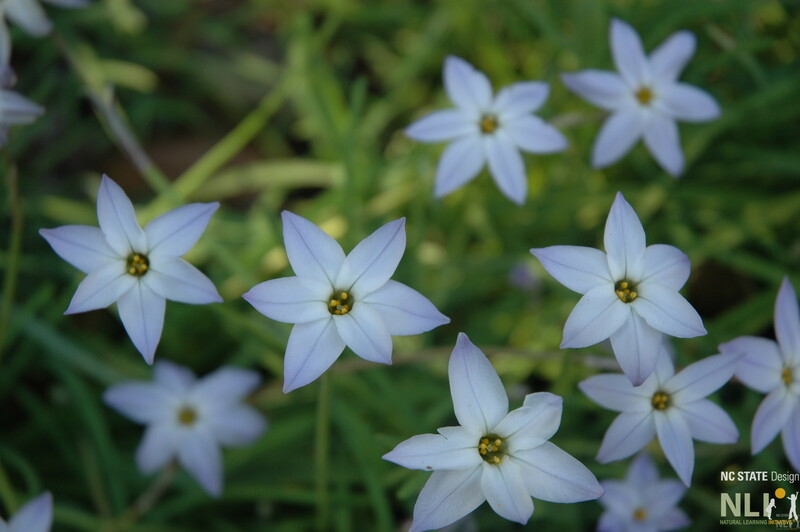 Spring starflower is a small (6-12 inch tall) perennial, that grows from a bulb, with flat, grasslike leaves and fragrant, star-shaped blue or white flowers. Starflower is a non-edible relative of the onion, and its leaves give off an onion-like aroma when they are picked or crushed. This plant is easy to grow and widely adaptable to many soil types and it can also be grown in pots or containers. Note: Depending on where you live, this plant may spread aggressively in a garden setting. 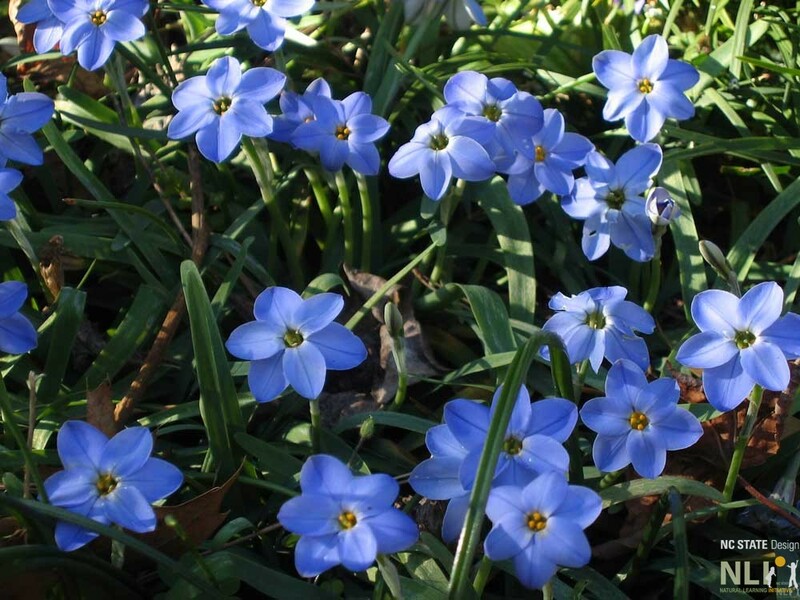 Contact a local nursery professional or Cooperative Extension for more information about growing Spring starflower in your region. Plant the bulbs in fall for a beautiful spring show; they look great in a large mass, or group, in a planting bed. They bloom all spring long, year after year, and go dormant just when summer perennials are beginning to pop. Flowering bulbs are a beautiful and magical way to introduce gardening to kids. 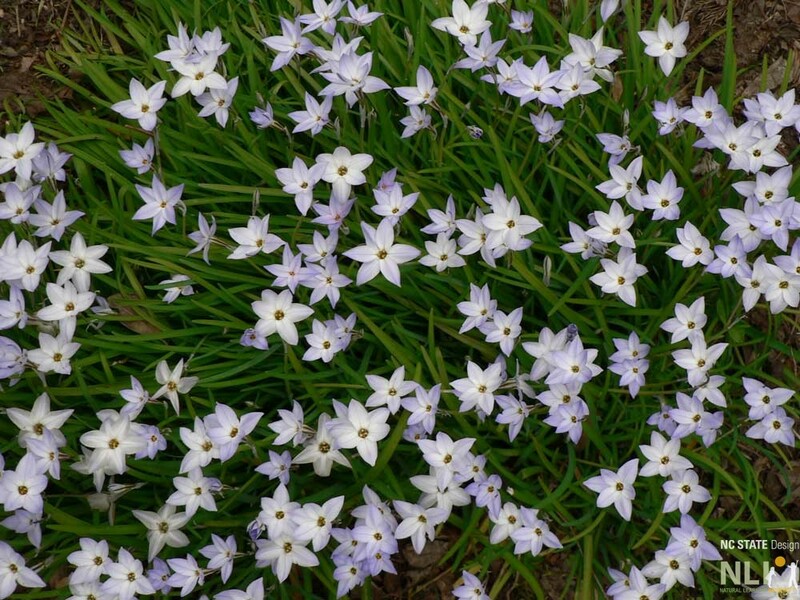 One of the clearest heralds of spring is when bulbs like spring starflower, daffodils, and crocuses push out of the cold wintry ground just as the days are starting to get longer. The life cycle of bulbs are well suited to school calendars. Planted in the fall and emerging to bloom in spring, they need only minor tending and bring attention to the garden when little else is happening. Spring starflower. Photo courtesy of the JC Raulston Arboretum at NC State University.